Boston Media House is the right start in the world of media. The Diploma in Media Practices will both inspire and stimulate you. The fully comprehensive first year allows you to explore the media industry and encourages you to discover all of its creativity, written and visual components. At Boston Media House you are not restricted, but instead given the option to pursue a wide variety of career opportunities in the media industry, That is why the course is designed to give you a fully rounded background in all areas of media. It is only in your second and third year that you commit to specializations. 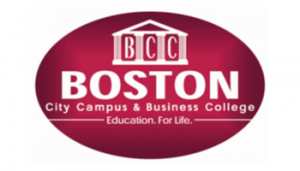 Boston Media House offers you the widest choice of specialization subjects! This means you can choose in which industry you wish to work. In your second year you will select from, not two, not three, but six specialisations! The world is your oyster – you will have a competitive advantage in the job market! Students who register for Animation or Graphics specializations in Year 1 will continue with their specialisation in Year 2 and 3 as per the subject information guide.